Research careers and find the right police job for you here at PoliceJobsInfo.com. Use the menu options on the left to navigate the site. 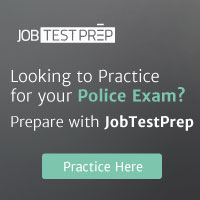 Be ready for the exam: Preparation for US Police Civil Service Exams. 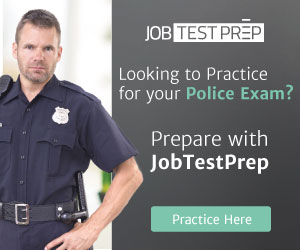 Review the Police exams by state. Click the menu link Career Descriptions to see what police careers are possible with federal, state and local law enforcement agencies. Many police departments require or prefer that you have some college credits in order to get hired. Click the menu link Agency Links to access links to over 6,000 police department websites. Get information on the qualifications necessary and application procedures needed for police careers by clicking on the menu link Hiring Process. Here you will also find information on how to pass the written entrance exam and subsequent interview. Many police departments require potential candidates to have a specific amount of college credit hours before applying. Police departments at the federal level usually require candidates to have a bachelor's degree. There are currently many police department job openings available. Before applying for a job in the criminal justice field, it is important to check that you fulfill all the requirements. When you are ready to apply for a job click on the link Find a Police Job to view over 1,000 current jobs posted on our site. Is your department hiring? Use the Post/Update a Job menu link to submit your information. Bookmark this website so you can see what new jobs have been posted.